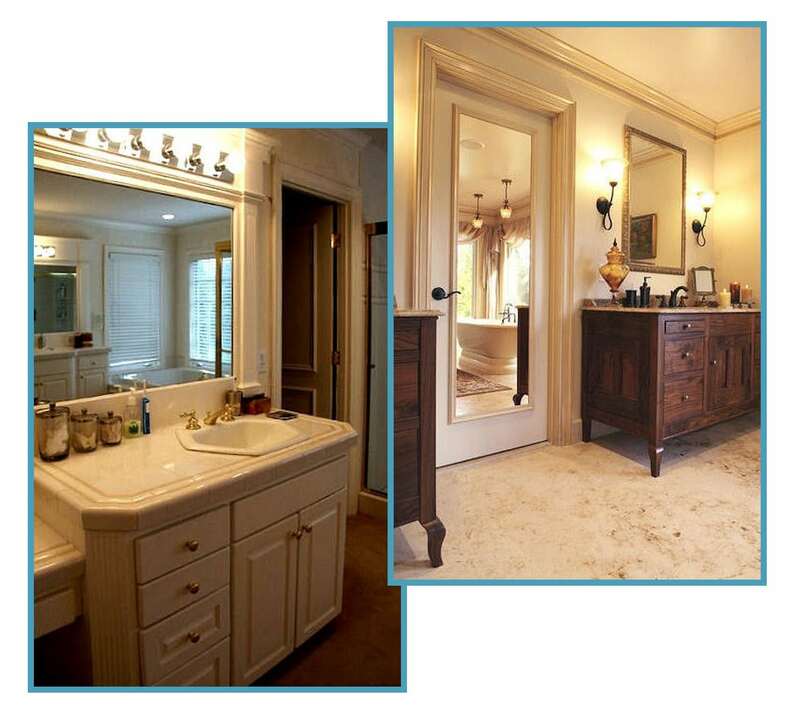 The French country master bathroom retreat was inspired by the Homeowners’ vacation in Provence. They were tired of the all-white bathroom, popular with builders in the late 1980s and into the 1990s. Their remodeled bathroom has a warm color palette, with a romantic corner pedestal tub, custom walnut “furniture” lavatories. It also has oiled-bronze plumbing and a two-person steam shower. Their new bathroom features three different (coordinating) stones, including slabs on the floor that have fossil skeletons. This bathroom one one regional and one national award.